We normally recommend steering well clear of all solvent based sealers, particularly wet look sealers. They are subject to a myriad of problems that are impossible to fix without stripping and starting over. Plus, they rarely achieve or maintain the desired look anyway. But for this product we are happy to make an exception. ProtectGuard® WF Premium is a 100% active, true wet look sealer that is unlike anything else we have seen. 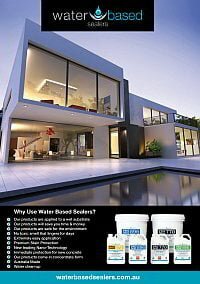 It is a true penetrating sealer, so it is possible to get a deep dark colour enhancement without building a surface film. As a result, the surface is still free to breathe and there are no concerns with regards to adhesion or peeling. This also means that you can achieve a complete wet-out type colour enhancement and still maintain a matt to satin finish! ProtectGuard® Wet Finish Premium is a wet look sealer with a difference! 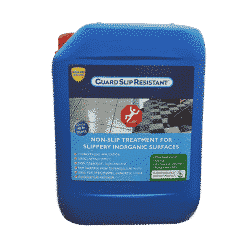 This Guard Industry product gives porous and low-porosity mineral surfaces an intense “wet eﬀect”. In other words, it provides the same colour enhancement as a wet surface. It also restores and revives the original colour of old faded surfaces. ProtectGuard® WF Premium is traffic resistant and produces a true, long lasting wet look effect. 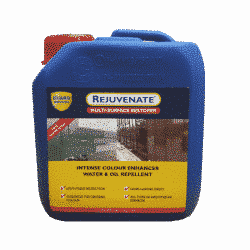 It also has excellent water, oil and stain repellent properties. It is by far the best colour enhancing sealer we have ever seen! Your average wet look sealer is a solvent (oil) based acrylic. 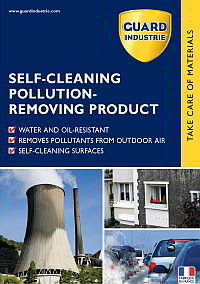 These products create a thick layer on the surface which is not breathable. 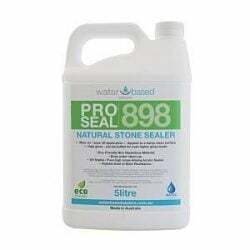 Any moisture that gets into the substrate, cannot escape through the sealer. Over time this moisture which is trying to escape will cause the sealer film to delaminate from the surface. These failures appear as white patches. These stand out in contrast to the rest of the rest of the darkened surface. The only way to fix this is by stripping off the sealer and starting over. Further, the colour enhancement of a standard wet look sealer diminishes over time. A typical solvent acrylic wet look sealer will look close to wet for the first week. Within a month the colour depth is about half of what it was. By six months there is no significant colour enhancement over a non enhancing sealer. This is because the wet look is produced by the oil based components of the solvent. Most, if not all of these components are volatile, meaning they evaporate into the atmosphere. As they migrate out of the substrate and the sealer the colour goes along with them. Solvent based acrylic wet look sealer contains up to 80% xylene and other hazardous volatile hydrocarbons. These compounds are known as volatile organic compounds or VOC’s. These VOC’s evaporate and create a respiratory hazard for applicators, clients and anyone else exposed to them. They are quite pungent and you can easily smell if a solvent based acrylic has been used. The majority of these components are released during application and curing. So after a week, which is the average curing time for such products, most of the VOC’s have escaped. However, low levels of VOC’s will continue to leach out of the sealer and the substrate for months to come. These low levels go unnoticed by most home owners. But if you have pre-existing sensitivities, or have children or pets that will spend a lot of time on the sealed surfaces, there could be ill effects. 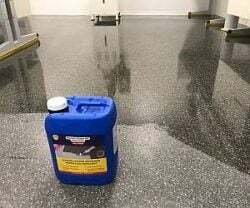 A solvent acrylic wet look sealer will make the surface slippery. As such these products should be avoided wherever slipperiness is of concern. Particularly on sloped external footpaths and walkways, or area’s where the surface is often wet. Like all Guard Industry Sealers, ProtectGuard® WF does not produce a surface film, but penetrates into the surface. This means that the substrate can freely breathe. So any moisture that gets in can evaporate from the surface as water vapour. In addition, since the colour enhancement has gone deep into the substrate, the wet look will not wear away to create an unsightly contrast in high wear areas. It can only wears away if the surface itself gets worn down. Also, it cannot delaminate, blister or peel. 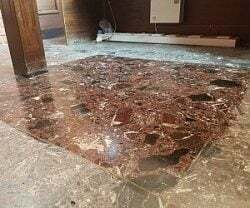 Since it penetrates into the surface and produces no surface film, it does not make surfaces slippery. 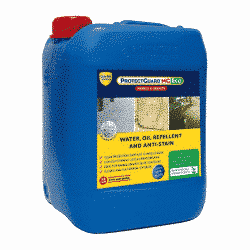 As such it is a great colour enhancing sealer for external paths, walk ways and surrounds. It is also a great option for honed concrete around pools. The colour enhancement will hide scratches from course grinds, or even shot blasting. Enabling a very course surface with grip levels that are not normally possible with a colour enhanced look. Further, the colour enhancement is permanent! This colour enhancing sealer retains it’s enhancing properties throughout it’s service life. It will look as good after a couple of years as it does after a week. 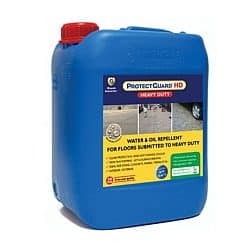 ProtectGuard Wet Finish Premium wet look sealer is a 98% active product. This means that you get excellent coverage rates, up to 20m2/L on dense surfaces. The remainder is solvent and is required so that the sealer does not set in the container. The solvent used is an eco, non hazardous alcohol based solvent. 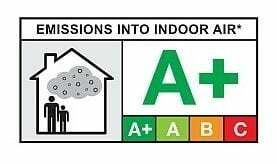 This product contains less than 160g/L total VOC’s and achieves an A+ indoor air quality rating. This makes it safe to use even in enclosed areas. ProtectGuard® Wet Finish also provides a protection against water, oil and stains. 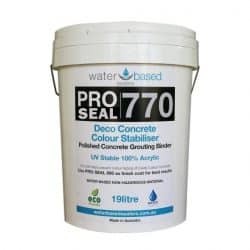 It also provides long-term protection for materials and prevents the principal causes of deterioration such as atmospheric pollution, dirt and grease. It slows down the ageing of the support and makes it easier to maintain. ProtectGuard® WF colour enhancing sealer is an impregnation product, the support can still let through air and water vapour. Clean-up: Clean tools and equipment used with white spirit immediately after use. 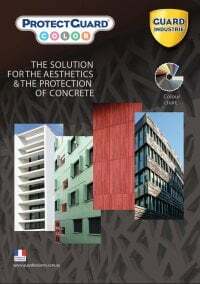 ProtectGuard® WF Premium is used both indoors and outdoors on horizontal and vertical surfaces of porous or low-porosity material: limestone, terra cotta, clay, brick, natural and reconstituted stone, blue stone, concrete, marble, granite etc. ProtectGuard® WF Premium is used in new works or renovation. Apply the product to a clean, dry surface free of dust and grease (moisture content less than 5% by mass). 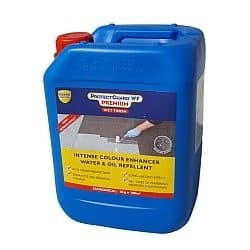 Use Guard Remover® Eco Efflorescence & Cement 50% diluted to prepare the surface before treatment. If there are grease stains, use Guard Cleaner® Eco Soiled Floors. 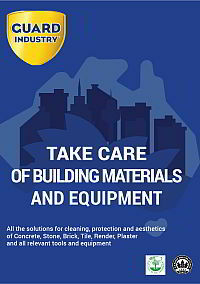 If there are traces of efflorescence, laitance or veils on cement, use pure Guard Remover® Eco Efflorescence & Cement. Rinse thoroughly until the surface is free from any trace of cleaning product. Shake the package thoroughly before use and use the pure product: do not dilute or mix with another product. – Apply in one thin layer without excess. It is not necessary to soak the tool with the product, just a small amount of product is enough. – Do not overload the support; all of the product must penetrate the surface. – After 10 minutes, the treated material must be wiped oﬀ and polished with a lint-free microfiber cloth. – On large surfaces, apply by steps to avoid walking on the product when wiping. Where necessary, apply a further layer to homogenize the wet eﬀect. Respiratory protection: Wear an ABEK-type mask. Protection of hands: Wear ﬂuoride rubber gloves. Protection of skin : Wear suitable safety clothing. Protection of eyes: Wear hermetic protective goggles (ref. standard EN 166). If swallowed: Do not induce vomiting. Contact a doctor or specialist. This stuff is magic on dark natural stone. Made my granite pool headers look as good as they did when wet. Great water bead effect too.